I’ve written a line or two about Toronto’s Art the Band, last year, when I found out about their full-length, Boost Unavailable. I was impressed and awed by it, so it’s with great anticipation and matching expectations that I’ve approached their most recent release, the Snacks EP. I wasn’t aware that it was coming, so I was surprised, and, upon listening to it, was once again surprised. 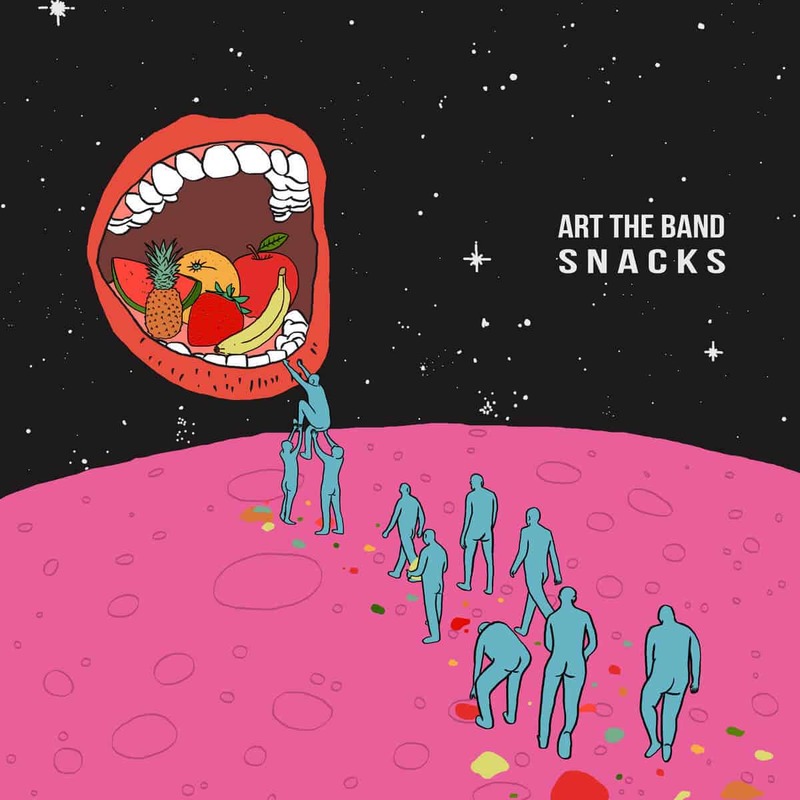 I have to say that I didn’t exactly recall what Art the Band was about, but Snacks quickly corrected this. The first and “Big Track” is a pretty standard jazz fusion tune – energetic, rhythmically engaging, and harmonically, well… jazzy. The saxophone and guitar each get their solo section, and both are very rewarding. However, perhaps the greatest surprise of the album comes on the second track, “Planck Era”. If you wish to be surprised, don’t read beyond this point, but I doubt reading it will adversely affect your enjoyment of the song. It starts off with an odd 4/4 subdivision on bass and percussions, which is then joined by saxophone. A bunch of rhythmic modulations later, evolving on that theme, and the song breaks off and drops into a deep hip-hop vibe, with rapper Ayrah Taerb. That just floored me. The rest of the EP is nothing short of amazing either – Oh, and, by the way, it’s over thirty minutes long, so the EP label is really more of a preference of the band; it’s almost the same length as their previous “full-length”. In short, this album is great.